Online classes: Coursera to offer college credit for some courses starting in 2013. 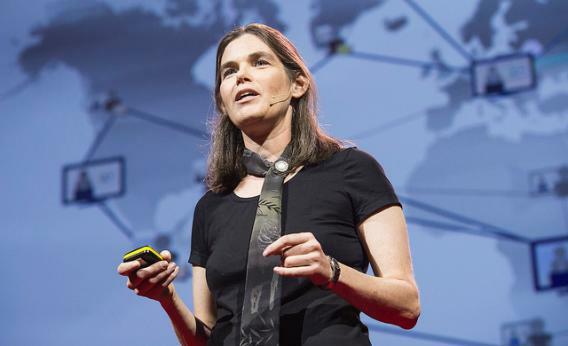 Coursera co-founder Daphne Koller speaks at TEDGlobal 2012 in Edinburgh in June. Coursera, potentially the most disruptive startup that American higher education has ever seen, has rocketed to prominence with a model that seems almost too good to be true. It offers in-depth online classes from some of the world’s top professors and universities for free. Until now, the only catch has been that you can’t get college credit for taking them. The most you can get is a certificate of completion. Now the one-year-old company, founded by Stanford professors Daphne Koller and Andrew Ng, is taking the next step. It announced today that it will begin working with a third-party service to evaluate some of its courses for college transfer credit beginning early next year. Students who want that credit will have to pay a fee. To thwart cheating—which, oddly, has been a problem even in online courses that don’t count for credit—Coursera will use “online remote proctoring technologies” that use webcams to verify students’ identity and validate their work during exams. The courses will be evaluated for credit by the ACE College Credit Recommendation Service, or ACE CREDIT. Its credit recommendations are generally accepted by some 2,000 colleges and universities in the United States—though many of the top-tier schools that partner with Coursera are notably absent from that list. In recent years, the rising cost of higher education has had a devastating impact on students, many of whom struggle and often fail to complete their degrees. We hope that by providing top-quality courses that have the potential of academic credit, we can allow more students to enter college with some credit already accrued, and exit college on time, on budget and with a complete degree in hand. On the other hand, it’s less clear how this will benefit the universities that have rushed to partner with Coursera. It seems unlikely that institutions such as Princeton, Ohio State, and Caltech will be eager to offer free classes that count for credit at other schools but not their own. The move will also open Coursera to scrutiny that it could legitimately duck as long as all of its courses were free. For instance, I blasted Minnesota regulators last month for taking a legal stand against Coursera’s free online offerings, a position they quickly reversed. But for-profit, for-credit online courses will absolutely deserve a closer look from regulators—preferably at the federal rather than state level, to avoid a confusing hodgepodge of red tape. Coursera has been adamant all along that its courses are meant to complement, not replace, traditional higher education. But by charging money and offering credit, it is sure to invite a fresh round of hand-wringing about whether online classes are an adequate substitute for the offline classroom experience.